SOCIAL MEDIA OR EMAIL MARKETING. – email marketing as well as social media. effective email marketing and spam marketing. twitter) to completely eliminate Email Marketing. always been a simple, easy to use and non-glamorous marketing tool. of life. However, it comes with a greater responsibility as well. 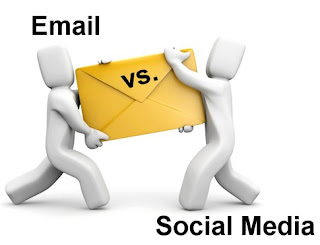 Email Marketing as compared to 49% who opted for Social Media. How About Social Media + Email Marketing Together? which can be combined together to achieve maximum benefits. media networks cropping up on the internet every alternate day. first ever passive social media network itself! IT’S LONELY AT THE TOP ONLY WHEN YOU FAIL TO TAKE OTHERS ALONG. NEW ACT: INTRODUCING FEMI LIGHT.